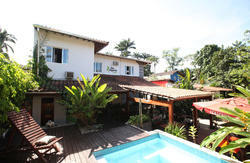 We are a brand new hostel located in the best part of Paraty: The Historic Center! A 5 minutes walking from the bus station and the supermarket. 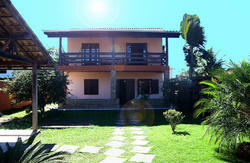 Only a few meters from the main bars and restaurants of the city, in a quiet and safe street. 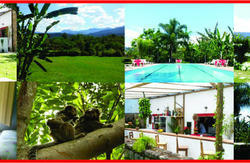 We are here to help you discover Paraty. You will be in the best place to relax, meet new people, listen to live music and get the best tips for the waterfalls and desert beaches around! The property is located near Santa Rita's church and the municipal pier. 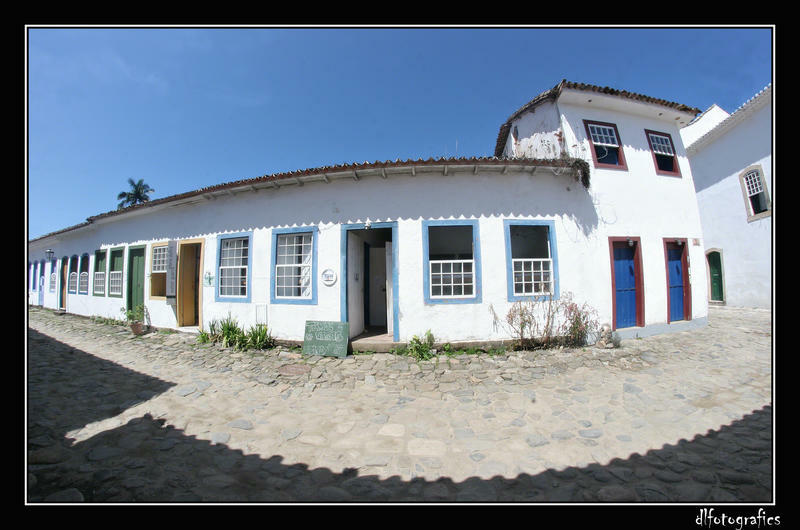 Our main entrance is by Rua da Matriz, a street that leads you to the main church of the city and we have a backdoor to the Rua do Fogo, the most charming street of the city. Just one block from the sea. We have three different shared dorms (with lockers for everyone) and two private rooms to offer you. The staff is able to talk in English, French and Spanish. At the rear of the house, we have an outdoor area for chilling out, feed the little monkeys that like to visit us, sit a little and meet new people or doing some pizza on our authentic wood stove. We are located on 27 Rua da Matriz St, also called Mal. Santos Dias. From the bus station: facing the taxi stop, turn right (the supermarket is on the next block) and walk round 5 minutes, heading to the city pier, until you find a church by the sea . Crossing behind the Santa Rita's church, you can see the beginning of the street where the property is placed. The second house on this street, on the right side, just after a restaurant. White walls with blue windows.